NOTE: To scan the barcodes included in the setup instructions below, you can either print or scan them from your iPad screen. If you choose to print the barcodes, please be sure to not stretch them as it will render them unscannable. Unpair the scanner from the iPad. Scan the factory reset barcode specific to your scanner model, below. The factory reset barcodes are also available in your Socket Mobile manual. Follow the setup steps above to configure the scanner again and pair it with your iPad. Turn on the Socket Mobile Bluetooth Scanner by pressing and holding the small power button until the LED turns blue and the device beeps twice. By default, your Socket Mobile Bluetooth Scanner is set to HID mode. In order to use the scanner with your iPad, the scanner must be set to iOS mode. To do so, print and scan the iOS Mode barcode below specific to your scanner model. The iOS Mode barcode is also available in your Socket Mobile manual. On your iPad, turn Bluetooth ON from the Settings app. When the scanner appears in the list of Bluetooth devices, select it to begin the pairing process. When pairing is complete, the status of the device will be Connected. To ensure the quickest possible scan speed when using a CHS 7Pi, 7Qi or CHS 7Xi barcode scanner in a high-volume environment, the scanner mode must be set to Decode 1D and 2D Barcodes. 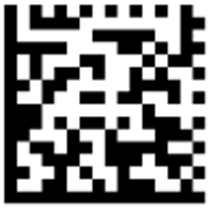 Print and scan the Decode 1D and 2D Barcodes scanner mode barcode below to enable the option. 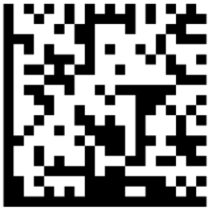 The Decode 1D and 2D Barcodes barcode is also available in your Socket Mobile manual.